Maggie, a low-income older adult living in Los Angeles, had been experiencing a lot of tooth pain for the last couple of years. She had a difficult time finding a dentist in her community who accepts Denti-Cal, the insurance she receives through Medi-Cal, California’s low-income health program. By the time she finally visited the dentist, Maggie, whose name has been changed, was suffering from significant issues with a number of her teeth. Since Denti-Cal does not cover root canals on back teeth, those teeth could not be saved and would need to be extracted, which would leave huge gaps in her mouth and make it difficult for her to eat. Her dentist therefore recommended that she get a bridge or implants, but she would have to pay for them herself—a cost of up to $10,000—because Denti-Cal does not cover these services. Or, Maggie could have all her teeth pulled, her dentist said, because full dentures are covered by Denti-Cal. Unable to pay for a bridge or partial dentures on her income of just $895 a month from Social Security benefits, Maggie opted to have all her teeth extracted so she could be fitted with full dentures. As a legal support center, we hear stories like this often. Maggie’s situation is illustrative of the difficulties many older adults face in attempting to receive dental care in California and across the nation. These difficulties are pervasive and are caused by systemic problems with dental coverage and care for older adults. These systemic problems include: a lack of comprehensive coverage; little or no coordination with other medical needs; few providers who are willing to accept the limited health insurance older adults have and even fewer who are trained to serve older adults; and finally, poor consumer protections for older adults accessing dental care. Older adults of all income levels face a lack of comprehensive dental coverage. Medicare, the federal health program for people 65 and older, doesn’t cover dental care except in rare instances. Medicare Advantage plans, which are offered by private health insurers, sometimes offer dental coverage, but it is limited and often still has high of out-of-pocket costs that low-income older adults can’t afford. In 2009, during the economic recession, dental benefits were eliminated for most adults with Medi-Cal. Some of those benefits were restored in 2014, but coverage is still very limited and nonsensical. For example, as we saw in Maggie’s story, Denti-Cal covers full dentures but not partial dentures, bridges or implants, leaving many older adults with the choice of either pulling out all their teeth or getting no treatment. Denti-Cal covers root canals, but only on the front teeth—not the back teeth, where root canals are most needed. Gum treatment, a relatively inexpensive preventive option, is not covered at all despite gum disease being the leading cause of tooth loss. Further, because the reimbursement rates for dentists accepting Denti-Cal are too low and the administrative costs of participating in the program are so high, few dentists are willing to see Denti-Cal patients. For Denti-Cal recipients who do receive care, there is rarely coordination between their other health-care providers and their dentists. Yet, dental health is a major part of overall health. Lack of dental care can lead to life threatening infections, can worsen chronic conditions like diabetes and hypertension, and can cause pain that prevents older adults from getting proper nourishment. Finally, questionable financial practices are rampant across the state, leaving older adults in debt or fearful of visiting a dentist at all. These practices include signing up patients for high-interest credit cards while they are in the dentist’s chair waiting for treatment or having patients sign contracts that are not in the their language. Fortunately, the state legislature has taken the opportunity to do something to improve dental care for low-income older adults in California. Last fall, California passed Proposition 56, the Tobacco Tax Increase Initiative, with the expected $1.2 billion in proceeds from the bill slated to improve health-care services for low-income residents. Unfortunately, Gov. Jerry Brown’s 2017-18 budget does not use these funds to restore full dental benefits, a cost of $69 million. 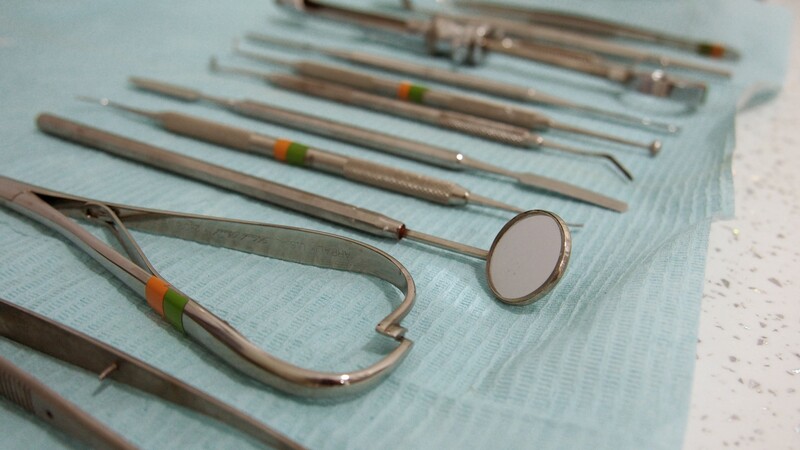 The California Senate and Assembly, however, voted to restore full Denti-Cal benefits in their budget plans. Whether benefits are ultimately restored will depend on whether the governor and legislature come to an agreement to do so before the budget is signed in mid-June. Restoring full dental benefits would go a long way to increase access to oral health treatment that will improve health statewide and end the needless suffering of older adults who are currently faced with few to no treatment options. I met Maggie at a recent press conference where she joined other seniors and advocates to urge California to restore full dental benefits through Denti-Cal. She has her full dentures and is doing fine, but dental care that prioritized her actual needs and allowed her to keep her healthy teeth would have served her much better. This article originally appeared in the California Health Report, an independent non-profit journalism project. Amber works on Justice in Aging’s Health Care team from our Los Angeles, CA. office. She's focused on ensuring dual eligibles are able to access the health care they need under California's Coordinated Care Initiative.